After all the Christmas posts this week, I know you expected me to interview a snowperson (why always a man? Or a woman? Snow gender need not be so definitive!) but instead today I’m chatting with someone who will (I hope) not melt away. Cheerful spirits are a key part of the holiday season, so today I’m interviewing the author of the upcoming memoir Drinking With Men, a love letter to the bars, pubs, and taverns. 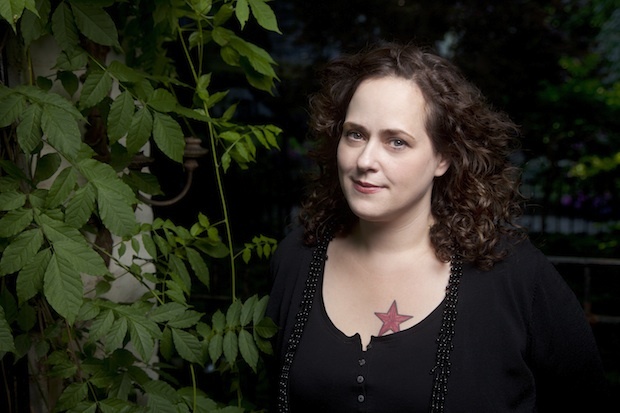 She is also contributor to This American Life and npr.org, and writes the monthly "Drink" column for The New York Times Magazine. You can learn a lot more about her here. Drinking and writing: do they go together? For some, perhaps, but not for me. A glass of wine to calm my poor nerves and loosen me up a little is fine, but that’s about all I can manage and still get work done. I tend to keep the writing and the drinking separate. Conveniently, my best writing hours are between 7 a.m. and 3 p.m., so there’s no conflict with my best drinking hours. What’s your favorite thing to eat while you drink? I’m not talking about wine/food pairings, I mean happy hour snacks. Pretzels. Macadamia nuts. Charcuterie of many kinds. Gougères, if I’m drinking at the sort of place that has them, which seldom happens. And Cheez Doodles—that very, very distant cousin of gougères —are delicious with beer. When you travel, do you investigate good drinking establishments ahead of time (and if so, what are your resources) or do you prefer to wing it? Mostly I wing it, and follow leads from locals and my own instincts. I’d never heard of Else’s, a terrific neighborhood bar, before I visited Montreal in 2006 or so. I just happened upon it when I was walking to a restaurant and fell in bar-love at first sight. In Belfast a few years ago, I got into a conversation with an off-duty constable at a bar across the street from my hotel. When I told her I was a writer, she said, “Oh, well then you have to go to the John Hewitt.” She and her friends walked me over there, and it remains one of my favorite pubs in Belfast—a city with no shortage of great places to drink. Where would you like to drink in Chicago? Anywhere lively and local, with a good mix of regulars who like to talk to strangers. Wherever you want to take me. I trust you, Claire. Babies in bars. Your thoughts. As long as they’re snugly strapped to a parent—and the sort of parent who will remove them from the bar the second they start crying—I think babies in bars are fine. Once they start getting really squirmy and learning how to walk, all bets are off. A neighborhood friend—an English expat—used to take his daughter to our local soccer bar so he could have a pint or two (no more than that) and watch a match. She was the best bar baby ever, until she started toddling. There are just too many sharp edges, drunk people’s feet, tall barstools, and loud noises in a bar for a mobile baby to be safe and comfortable—and not annoying to grown ups. I am starting a new job in January and haven’t had time to properly celebrate yet. What would you toast to a new beginning like that with (taking into consideration the time of year). First, congratulations! Assuming you’ll have a bit of Champagne on New Year’s Eve, I believe the martini—made with gin, not too dry— is the drink for new beginnings (even though I’m usually a brown liquor girl in the winter). Better yet if that martini is accompanied by a pile of oysters. What’s a drink that everyone else seems to adore (either of the moment or a classic) that you just can’t get into? The current craze for amari –a family of bitter Italian digestifs—in cocktail-making has gone too far. I like many amari just fine, but when deployed with too heavy a hand or too little thought, they make for drinks that taste suspiciously like cough syrup, but without the expectorating benefits. Oh, and pickle-backs. Has Chicago been stricken by this scourge yet? [Editor’s note: not that I am aware of, but if I am wrong, please let me know where pickle-backs are happening in the city.] I like whiskey. And I like pickles. I like bars. And I like delicatessens. But pickle juice makes a bar smell like a deli, which just isn’t right. What’s your advice to women who like to have a drink alone in a bar but who aren’t looking to be picked up on how to be polite to &apos;friendly&apos; men? If a woman can claim a barstool in a corner, that’s the first step; that way, she limits access because she can’t be surrounded on both sides. Beyond that: absorbing reading material helps (and an actual book or newspaper is more effective than an iPhone or eReader as a PLEASE STAY AWAY FROM ME signifier). If a “friendly” man is too persistently friendly, I find that saying something like, “Nice meeting you. But I’ve had a long day and need to spend a little quiet time with my book and my drink” usually works fine. Nothing can come close to the splendor of the book. But I’ll have to go with Agnieszka Holland’s 1993 adaptation, mostly because I think John Lynch is such a brilliant and underappreciated actor. Still, even he is no match for the Archibald Craven I’ve imagined since I first read the book more than 30 years ago, and no one can ever approach the Dickon of my dreams, who really is the perfect person. Which soccer teams have the best uniforms? KNVB—the Dutch National Football Team—obviously. ORANJE! Although the font they used on their kit during EuroCup was weird and sort of space-age. Alas, that was the least of their problems during that tournament. 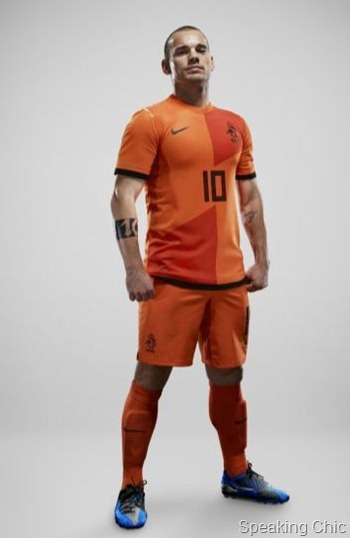 But anyway: ORANJE! If you could pick just one person to have a drink with right this very second, who would it be and why? In Drinking With Men, I devote one chapter to the late, much-missed Liquor Store bar in TriBeCa. It was my favorite New York bar, and there, I met the finest drinking companion of all time—a brilliant, funny, soulful artist who was also a great listener and true friend. He is no longer with us either. What I wouldn’t give to be able to meet up with him at Liquor Store for a few more rounds. How does it feel to be the 335th person interviewed for Zulkey.com/WBEZ? Seriously? I am #335?! That is huge; a gratifying rebuke to everyone who said I’d never do anything of value.